Again? More about submarines? Is it (are they) really necessary? It was meant to be merely a rhetorical question. Why, I wondered, do we need a submarine fleet? Before that, like most Australians, I’d just assumed that our government would replace like-for-like. This meant we’d be getting some sort of replacement Collins class type vessel. It would be big, built here, and there’d be plenty of opportunities for journalists (like myself) to write stories about how difficult it was to crew the boats until the Navy finally gave us a trip underwater. At this point we’d become converted to the need for submarines and sing their praises. After all, that’s what good PR is all about. But, as the government has commissioned a White Paper to investigate exactly what our real defence needs are (and I haven’t been offered a trip beneath the waves) and finally, as the new vessels could eventually swallow up almost two years of our total defence budget, I began to think that perhaps the submarine purchase actually deserved a bit of scrutiny. An article for The Strategist  provoked a vehement response . The backlash was immediate and intense; so passionate, in fact, that I realised I needed to do a lot more research before I ventured to write about submarines again. Further investigations have left me absolutely convinced of the honesty and integrity of those who are pushing for a replacement submarine. This, however, is very different from endorsing their thinking or the strategic case they’re advancing. The key point to grasp is that the strategic need, or requirement, always comes first; the equipment is a secondary consideration. Now no one doubts a substantial submarine, capable of long-distance operations, would be extremely useful. But this doesn’t mean it’s vital. The problem is (and this is particularly the case given the current budgetary limitations) every government dollar can only be spent once. That’s why the real question isn’t, ‘what sort of submarine should we buy’? Instead it becomes, ‘what provides the best value-for-money solution for our strategic need’? I’ve been really enthusiastic after listening to the case that’s being advanced for the replacement Collins. But the trouble is it doesn’t appear to address either the economic changes in the region or what our strategic needs might be in the decades 2020 through to 2040. This assertion is based on two insights. Firstly, the size of our economy is declining by comparison with our neighbours. The contention that in ten years’ time we will be able to travel through Indonesian waters with insouciance, for example, brushes aside Jakarta’s development as if it’s irrelevant to the strategic situation. It’s not. The problem is these boats aren’t just being planned for operations within the decade—their operational timeframe is intended to last much longer. Any analyst who suggests that our vessels would be able to routinely operate in the South China Sea in 20 years time is obviously making some very courageous economic predictions. It would be interesting to know exactly how they justify their assumptions about the regional economic balance. The second problem is technical; an assumption that large conventional submarines will continue to remain (relatively) invisible and irreplaceable for carrying out particular missions. Certainly this has been the case in the past and there are still many things that, until now, only submarines have been able to do. The pace of technical development is, however, extremely rapid. It appears foolish to assume that submarines will continue to be the only weapons systems that will be able to accomplish particular tasks in future. The proudest boast of a submariner used to revolve around their ability to penetrate the screen surrounding a US carrier task force and sink the flagship. This has been something that no other weapon systems could achieve. Today, however, the Chinese navy is investigating the possibility of using waves of missiles to overwhelm traditional defences with greater probability of success and at far less cost. Submarines may still be able to accomplish tasks they are designed for, but that doesn’t mean there won’t be alternative methods of achieving the same objective that are cheaper and more efficacious. 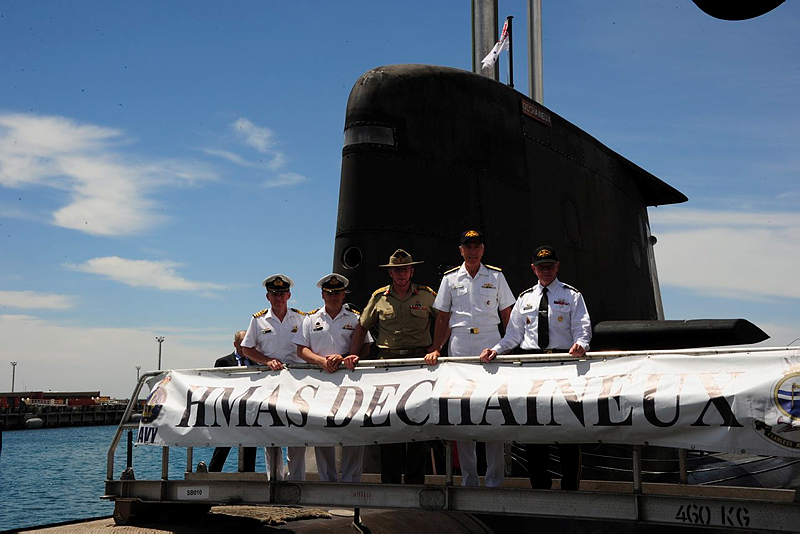 Questioning the need for a new submarine isn’t a matter of doubting its effectiveness: it’s simply a matter of the ‘opportunity cost’ that might be involved in embarking on that particular voyage. Nic Stuart is a columnist with the Canberra Times. Image courtesy of Department of Defence .